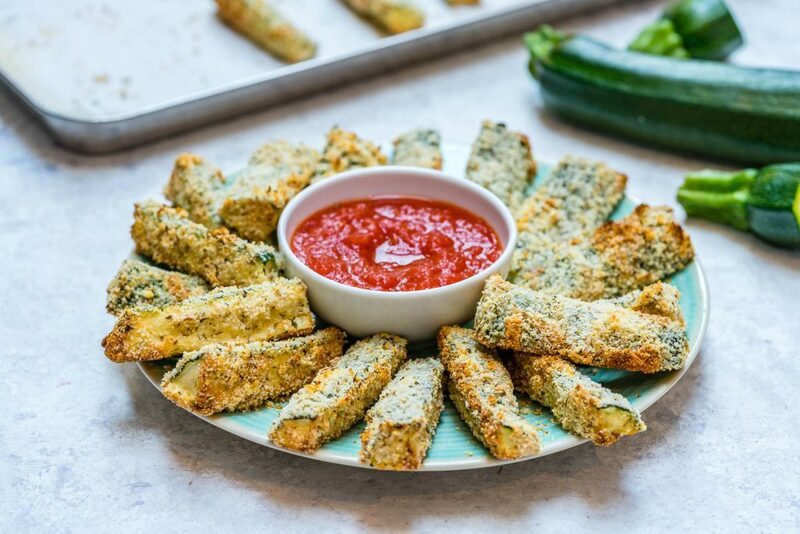 Oven Fried Zucchini Fingers are the PERFECT Clean Eating Party Food! Tasty + Healthy Game Day snacks (that people will actually WANT to eat) comin’ at ya! 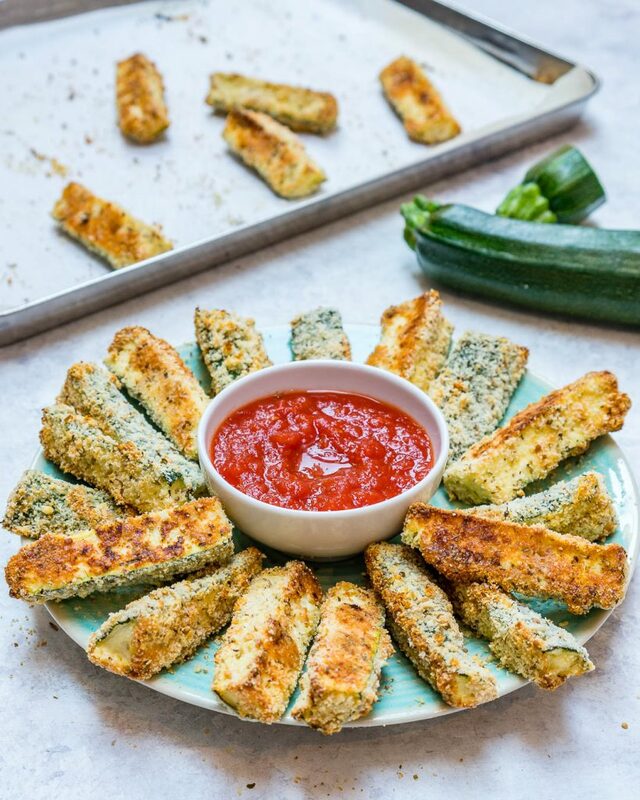 These Zucchini sticks are so full of flavor, and totally satisfying – friggin’ good vegetable! Let me know if you try them this weekend! 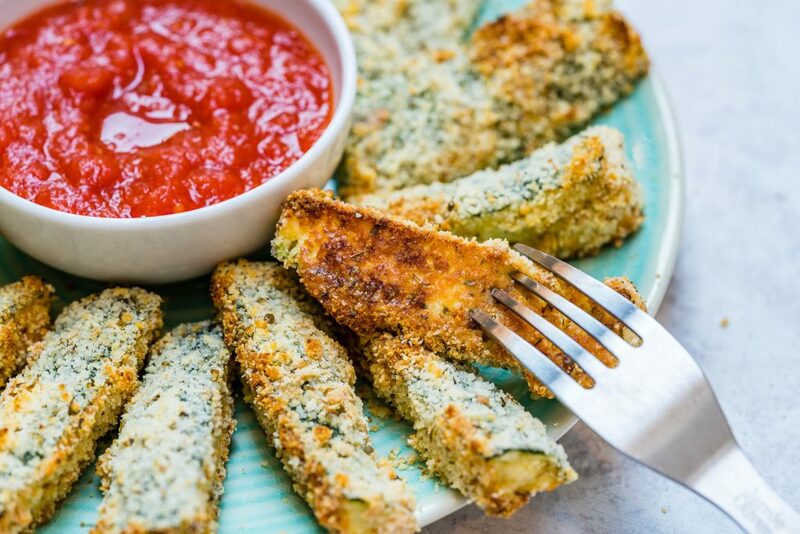 In a shallow dish, stir the almond meal, parmesan cheese, oregano, garlic powder, salt and pepper. Whisk well to blend. In a seperate, medium bowl, whisk the egg whites and oil together. Working in small batches, dip the zucchini in the egg mixture to coat completely and allow the excess egg to drip back into the bowl. Then coat the zucchini in the cheese mixture, patting to coat completely. 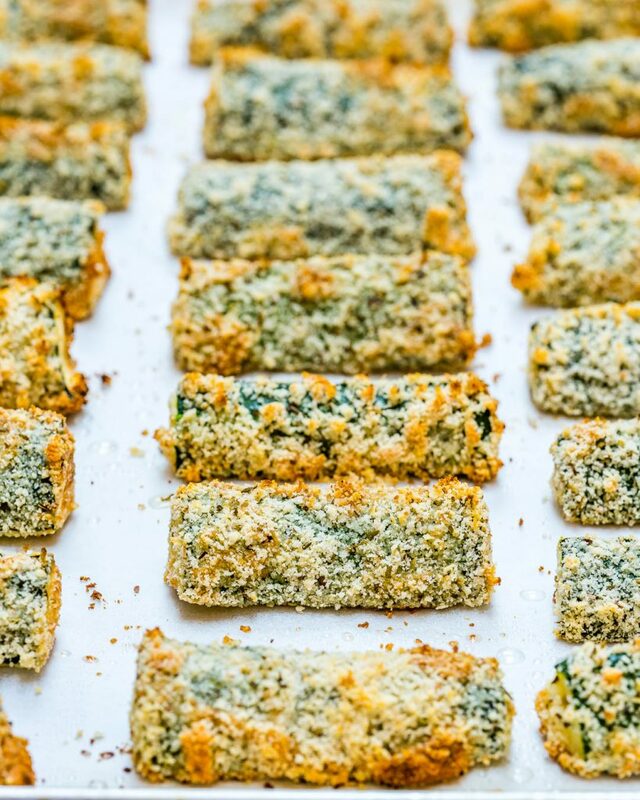 Place the zucchini strips on the prepared baking sheet. Bake for 15 minutes or until golden brown and crispy, then, broil for 3-5 minutes on the middle shelf of the broiler for a super nice, crisp texture. 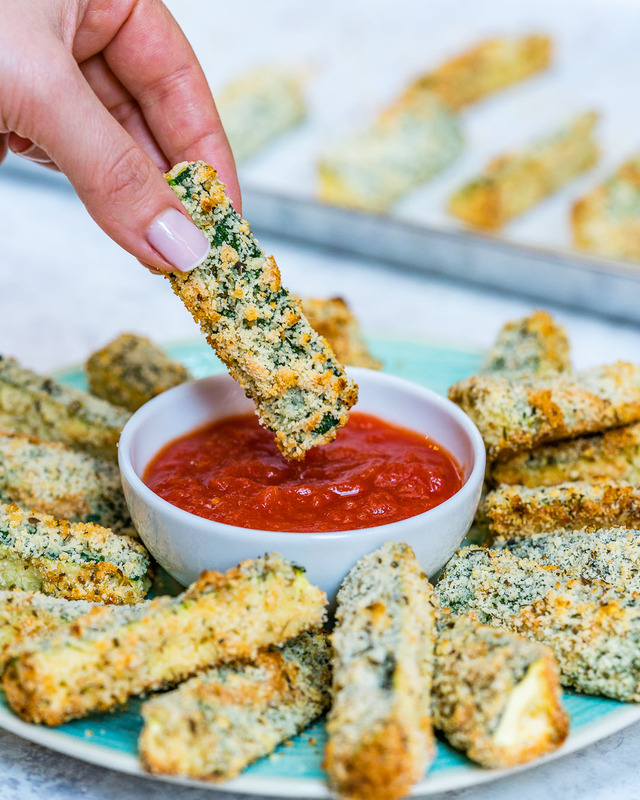 Enjoy with your favorite low-sugar marinara for dipping!